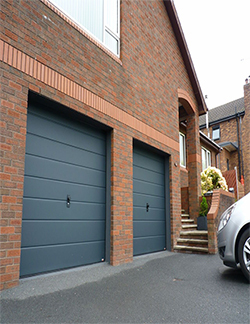 ThermAdor Residential insulated sectional garage doors are manufactured using Kingspan door panel and Kingspan components so you can be assured the best in quality, design, features and warranty. 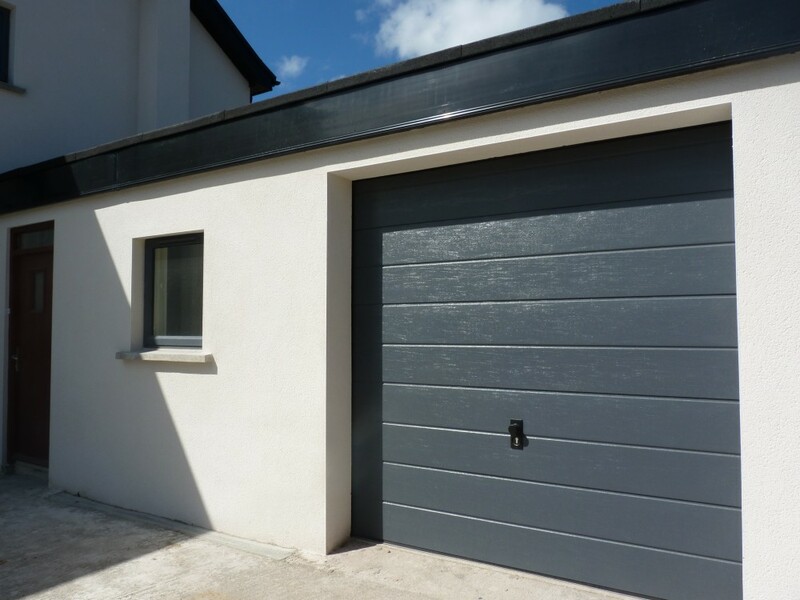 When you’re looking for maximum thermal efficiency, superior quality, maximum security and long-term durability look no further than the ThermAdor Residential insulated garage door range. 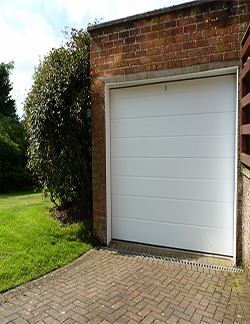 Manufactured from 40mm thick Kingspan insulated sectional door panels, the ThermAdor offers maximum thermal performance. 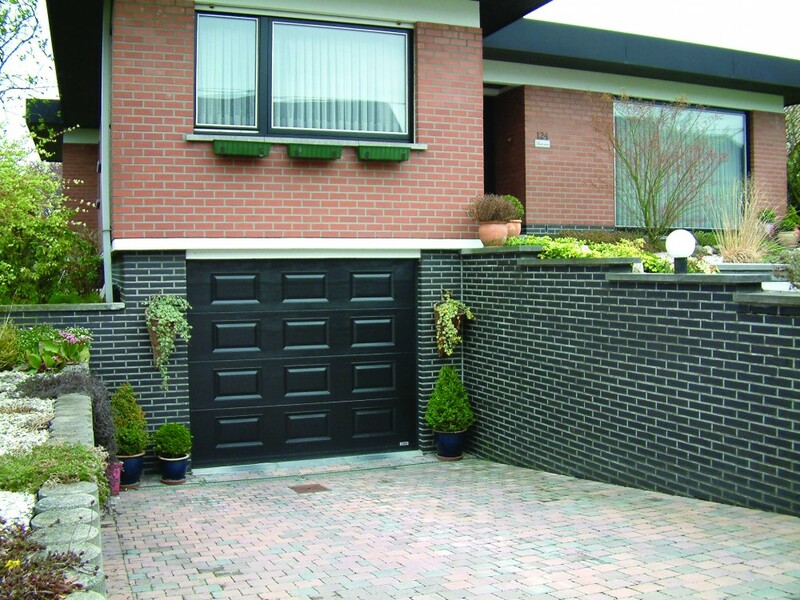 ThermAdor sectional doors not only look good, they provide outstanding performance in all weather conditions. 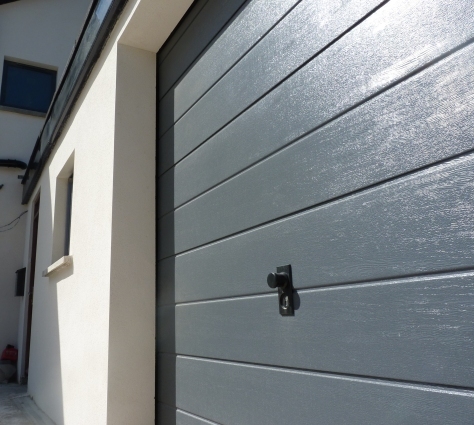 The doors consist of 40mm Kingspan thick interlocking panels, made of premium quality galvanised steel, filled with polyisocyanurate (PIR) insulation. 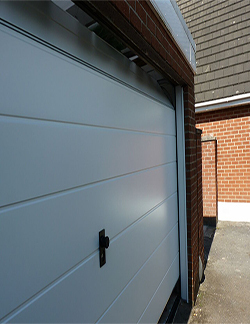 ThermAdor uses the latest technological advancements to minimise heat loss through your garage door. 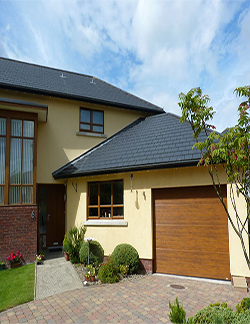 The strength of the panel, along with full perimeter and joint seals, gives exceptional protection against wind and rain ingress and provides excellent levels of thermal efficiency. 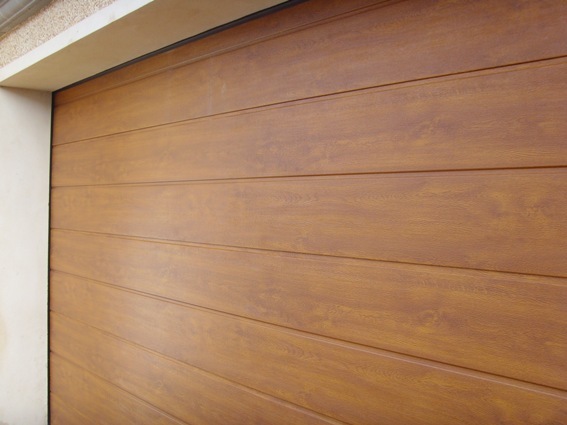 Our standard ThermAdor Residential achieves an installed / complete door U-value of an impressive 1.2 W/m2K, Air Permeability Class 2 and Wind Resistance Class 5. 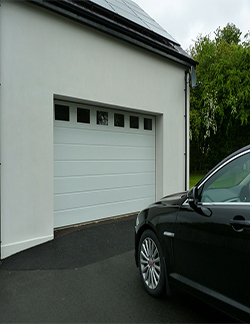 Our Kingspan ECOsafe and FIREsafe insulated door panels are filled with polyisocyanurate (PIR) insulation which is of higher specification than standard polyurethane insulation. 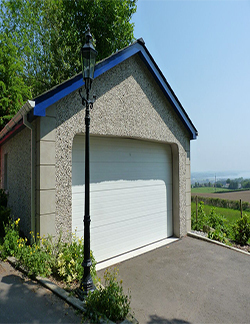 Kingspan’s PIR panels for insulated sectional garage doors are only available in Ireland from TiltAdor. 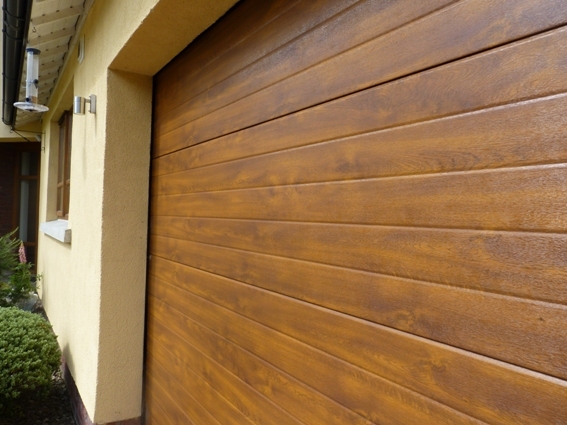 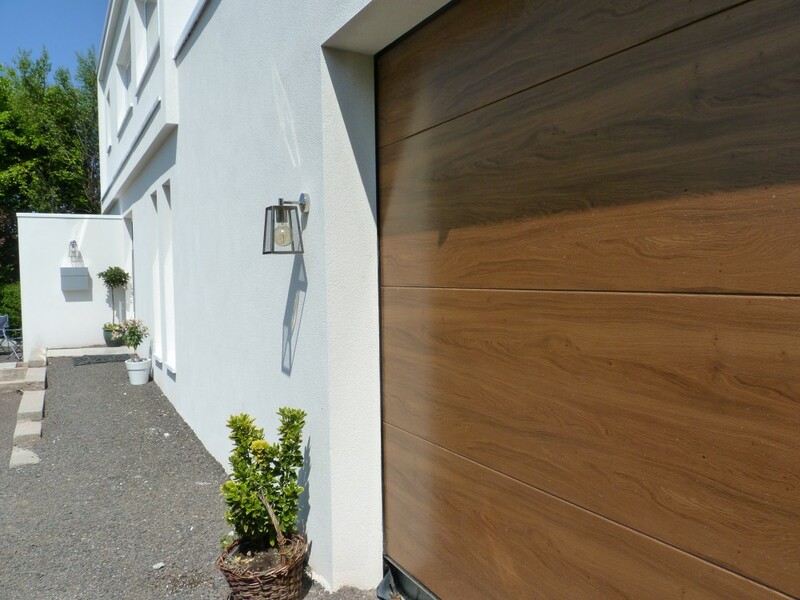 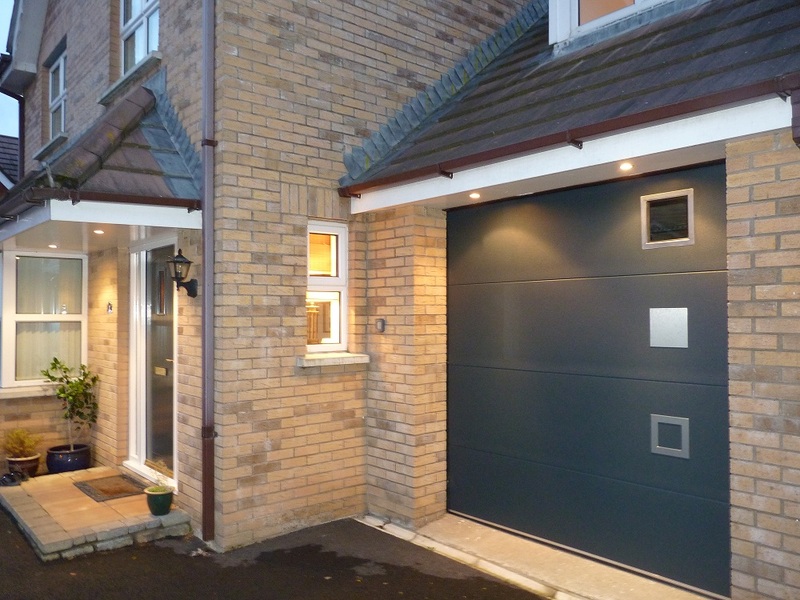 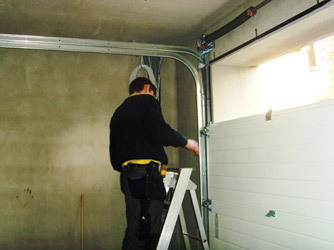 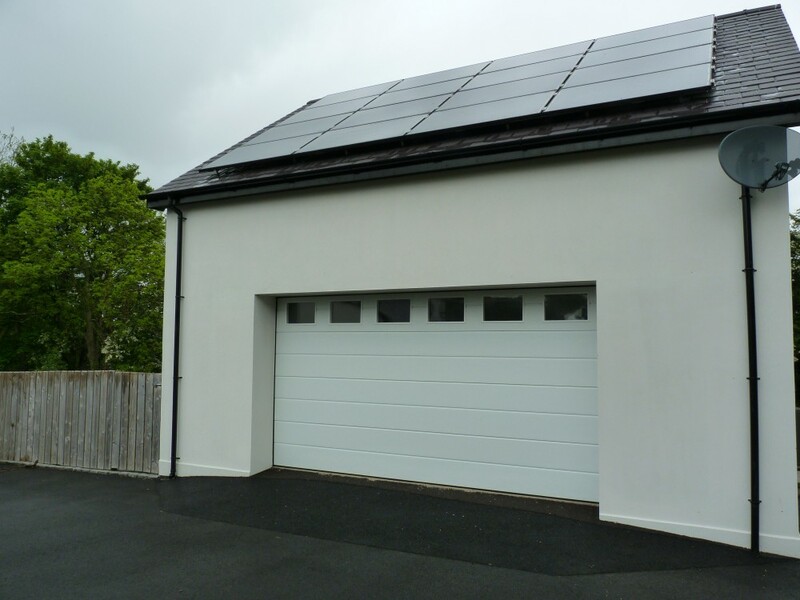 ThermAdor garage doors are installed behind the opening, maximising the drive-through width and height of your garage. 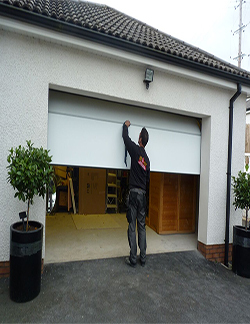 This gives you more clearance at each side as you drive in and out of the garage and is particularly beneficial for larger cars, 4x4s, vans, caravans and off-road vehicles. 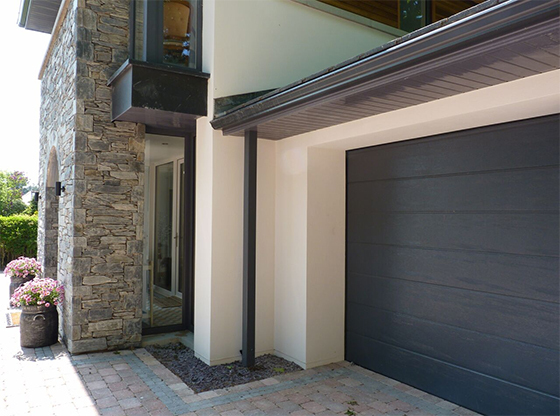 ThermAdor opens vertically upwards and each section of the door slides back along the track system into the garage. 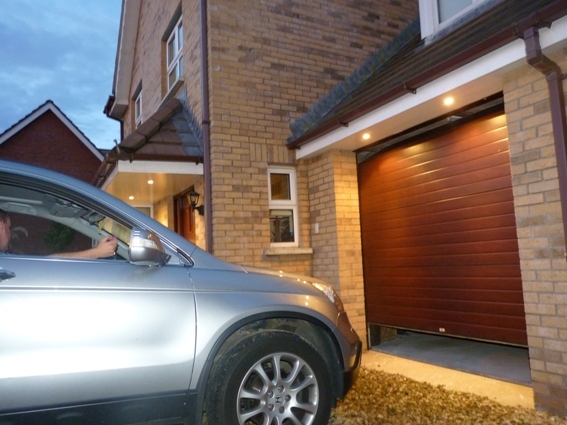 There is no out-swing so you can park your car right up to the door. 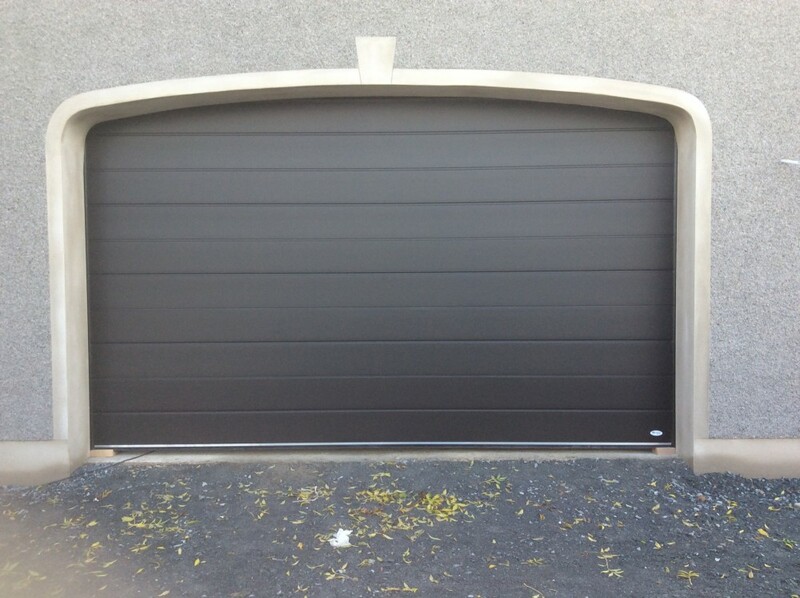 ThermAdor garage doors require very little headroom and sideroom. 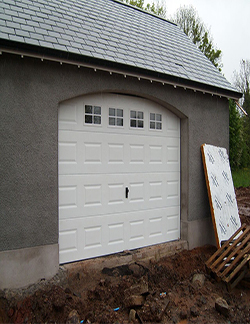 Their strength, stability and design make them ideal for all sizes and shapes of garage openings, including archways. 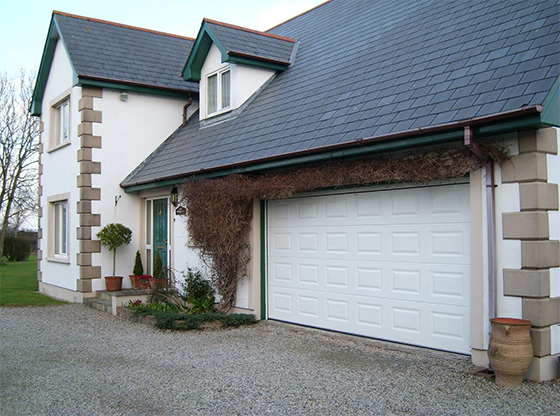 With the ThermAdor range, there’s no such thing as a standard size! 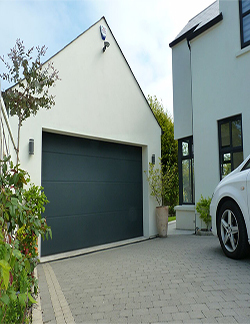 ThermAdor comes in a choice of sectional door colours. 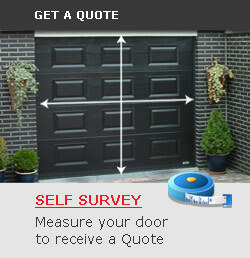 Every door is made-to-measure in our factory in Newtownards and at no extra cost to you! 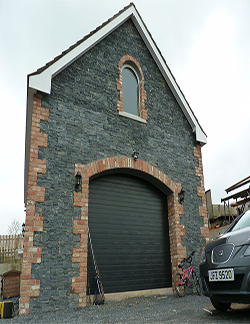 Georgian designs are available up to 4420mm wide x 3000mm high. 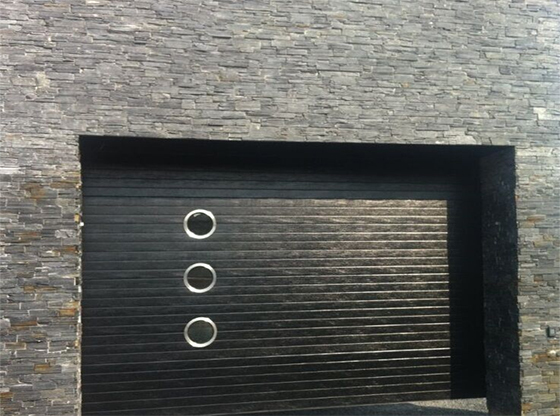 All other panel designs are available up to 5500mm wide x 3000mm high. 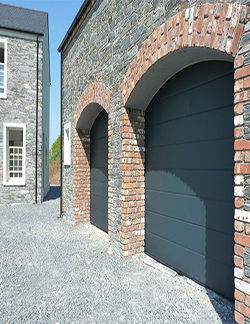 For sectional doors over this size take a look at our ThermAdor Industrial sectional door range. 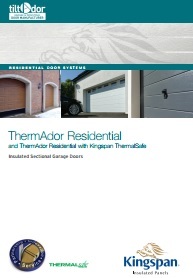 Check out the Features & Benefits of our ThermAdor insulated garage door or click on the icon below to download our ThermAdor brochure. 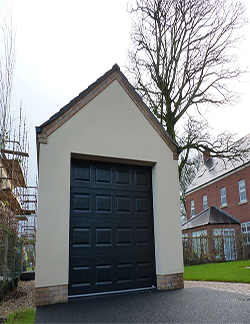 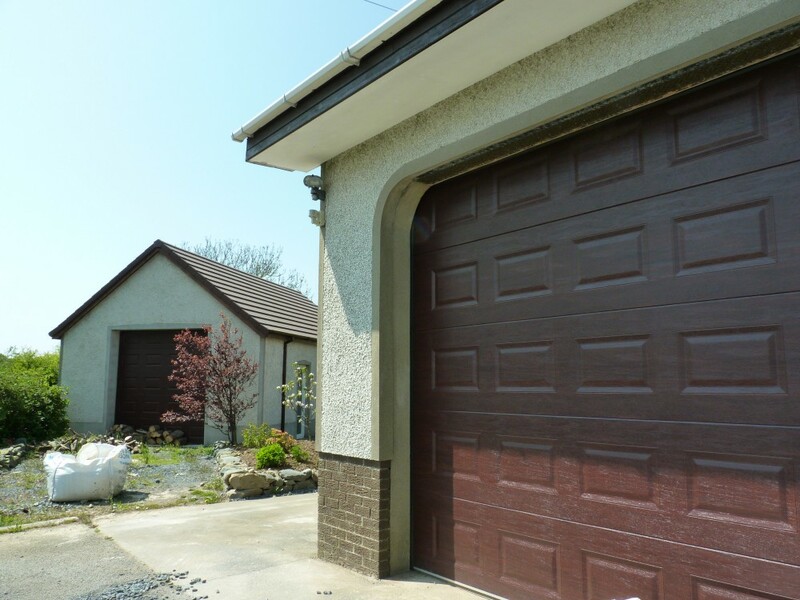 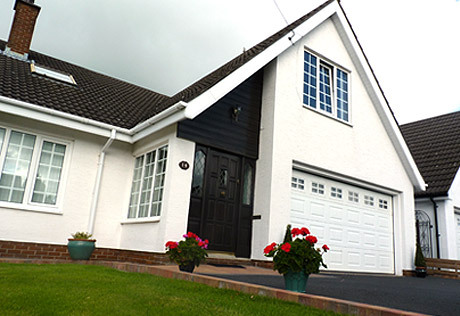 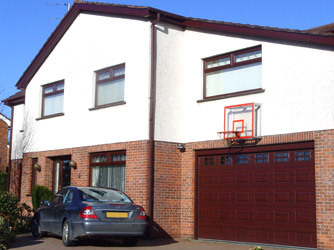 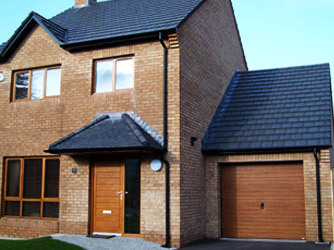 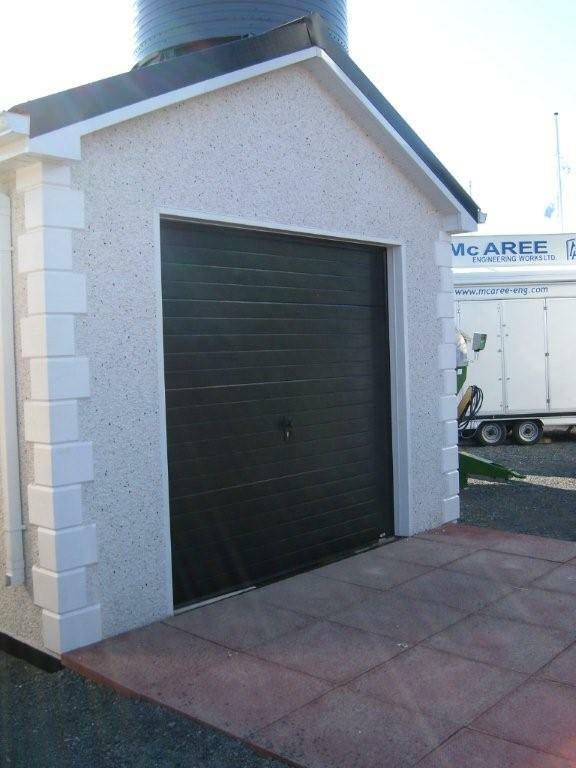 Please Contact Us for information on our sectional garage door ranges.